Intensive shock treatment for photoaging. 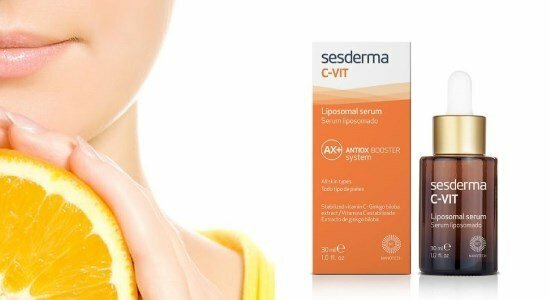 C-vit lipossomal serum 10 is recommended for all types of skin (including skin with acne and rosacea). Active concentrate to enhance the benefits of anti-aging and skin depigmenting treatment. Luminosity and vitality to your skin! In order to optimize the stability of vitamin C and a fulfillment of the deeper layers of the epidermis and the dermis, the Sesderma microencapsulated a stable form of vitamin C (Ascorbilglicósido) in Liposomes, at a concentration of 10%. Due to the stability of the formula and its conservation facility, the presentation is no longer in ampoules. Composition: ASCORBYL glucoside encapsulated in Liposomes, Mulberry extract, hyaluronic acid, lipossomado, Syncoll and lipossomado panthenol. Then apply C-Serum Liposomal Vit, preferably twice a day and/or as needed with a gentle massage. Can be applied on the eye contour area, keeping a distance of 3-5 mm around the eye.